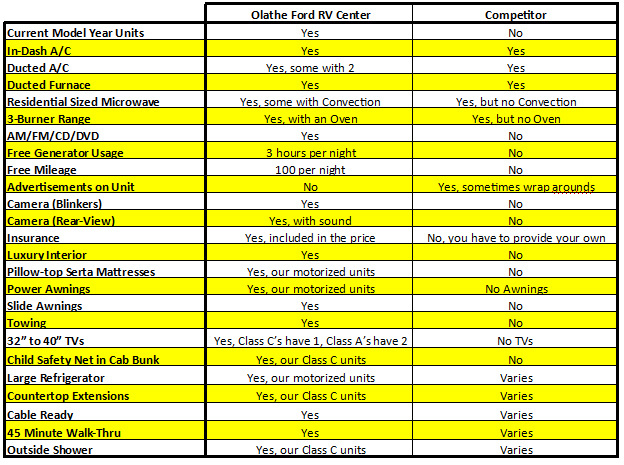 All of our Rentals are brand new current model year units. Our Rentals come with TVs, awnings, upgraded interior, ovens, backup and side-view cameras, pillow-top Serta mattresses, low mileage, etc. Nowhere on our Rentals does it say “RENTAL” or “RENT ME”. We don’t want our customers to be a driving billboard. We don’t use base units, we have premium motorhomes.